"This is a special time to visit Santa, which is reserved just for children with Autism. Puente Hills Mall will make it's Santa Area 'sensory friendly' with lower lighting and quieter surroundings. 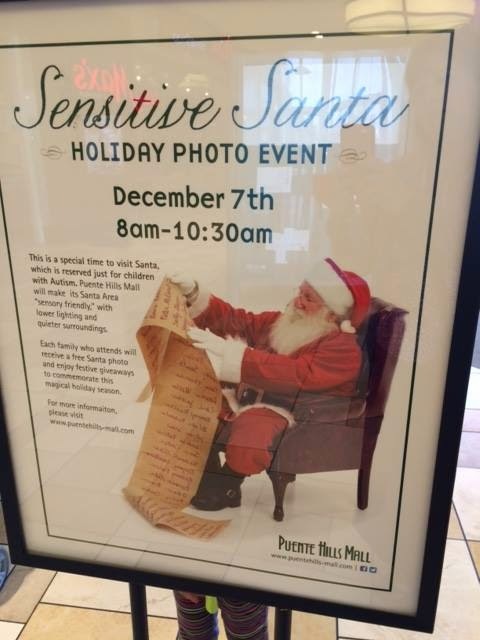 Each family who attends will receive a free Santa photo and enjoy festive giveaways to commemorate this magical holiday season. For more information, please visit www.puentehills-mall.com."